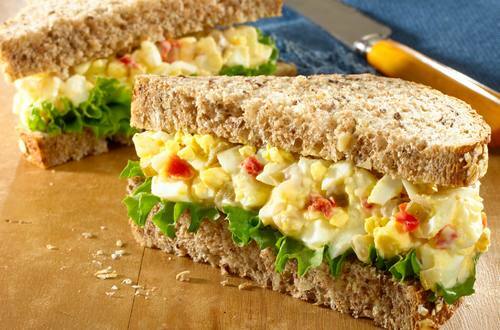 Step your egg salad sandwich up a notch with this creative recipe, incorporating red bell peppers into a favorite sandwich filling. 1 Combine all ingredients except eggs, bread and lettuce in medium bowl. Add eggs and toss gently. 2 Evenly top 4 bread slices with egg salad mixture, then top with lettuce and remaining bread.